First and foremost, Tampa Sweethearts Cigar Company, Inc. respects the privacy of its customers. We do not share your address, credit card information or email with anyone else. All customer information is strictly used to process orders and for our promotional correspondence to keep you informed in the most convenient, secure & efficient way possible. If you would like to be removed from any of our mailings, please contact us. Tampa Sweethearts Cigar Company, Inc. protects all information by using a secure server. That means that your credit card number and address are encrypted so that it cannot be read as the information travels via the Internet. We have made it a priority to keep your information and shopping experience a safe one. All orders shipped to Florida addresses will be charged a 7% sales tax. Sales tax will not be charged on shipments going outside of Florida. $200.01 or more = FREE ground shipping! Any customers wanting rush delivery must pay additional charges for any packages requested to be sent Next Day Air, 2nd day Air, or 3-day select via UPS. All merchandise leaves our facility in perfect condition. Should any item that is received damaged or lost during transit, please call us immediately. The outer packaging must be saved for UPS' verification, otherwise we cannot guarantee that UPS will reimburse us for the damages. We will reship all items as soon as possible and handle any claim with UPS for you. Orders are processed during our business hours and shipped promptly the next business day unless it is on a Friday, then your order will not ship out until Tuesday morning since our shipping department is closed on Saturdays thru Mondays. Remember this includes holidays as well. *See the UPS transit map for approximate package arrival date. Once an online order has been submitted, it cannot be changed online. However, Tampa Sweethearts may be able to modify or cancel the order if the time between the submitted order and the packaging of the order is caught in time before it is shipped out. Contact us as soon as possible via email or phone immediately! Locally (813) 247-3880 or toll-free (877) 766-5387. You will immediately receive an e-mail confirming your online order. This confirmation will list all items ordered, the amount of your order and the billing and shipping address. Once the item has left our facility you will receive an email from UPS with your tracking number. We process Visa, Mastercard, AMEX, and Discover credit cards. We utilize AVS (address verification service) on all orders received and verify both the billing address and zip code. If either the address or the zip code do not match, we will attempt to verify the correct address via email and/or phone. If we do not receive a response in a timely fashion, we reserve the right to cancel the order without further notice as a protection for ourselves and credit card holders. 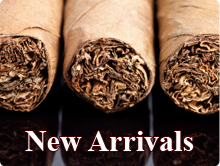 Tampa Sweethearts Cigar Co., Inc. guarantees your complete satisfaction on every product we sell and want you, the customer, to be happy with your purchase(s). Should you find that something is not to your satisfaction, we ask that you call us and we will make the proper arrangements to remedy the situation. We will gladly refund any merchandise in its original packaging within 14 days of receipt of your order. If you need to return an item, please send INSURED via FedEx, UPS, or parcel post to our shipping address of 1310 N. 22nd St., Tampa, FL, 33605. Please notify us before returning any items. For damaged merchandise, please retain all packing material and contact us immediately at 813-247-3880 or toll free 877-766-5387. We will promptly arrange for its replacement. Under no circumstances will we sell tobacco products to anyone under the age of 18. Tampa Sweethearts Cigar Co., Inc., makes no representations whatsoever about any other web site which you may access through this one. Links to other web sites does not mean that Tampa Sweethearts Cigar Co., Inc. endorses or accepts any responsibility for the content, or the use, of such web site. It is up to you to take precautions to ensure that whatever you select for your use is free of such items as viruses, worms, trojan horses and other items of a destructive nature. IN NO EVENT WILL TAMPA SWEETHEARTS CIGAR COMPANY, INC. BE LIABLE TO ANY PARTY OR FOR ANY DIRECT, INDIRECT, SPECIAL OR OTHER CONSEQUENTIAL DAMAGES DUE TO ANY USE OF THIS WEB SITE, OR ON ANY OTHER HYPER-LINKED WEB SITE, INCLUDING, WITHOUT LIMITATION, ANY LOST PROFITS, BUSINESS INTERRUPTION, LOSS OF PROGRAMS OR OTHER DATA ON YOUR INFORMATION HANDLING SYSTEM OR OTHERWISE, EVEN IF WE ARE EXPRESSLY ADVISED OF THE POSSIBILITY OF SUCH DAMAGES. Tampa Sweethearts Cigar Co., Inc., reserves all rights to any and all language and/or images used on this site. Permission to reprint/republish this material for advertising or promotional purposes or for creating new collective works for resale or redistribution to servers or lists, or to reuse any copyrighted component of this work, must be obtained from Tampa Sweethearts Cigar Co., Inc.
We reserve the right to limit quantities of any items offered on this site. Also, all brands offered by Tampa Sweethearts Cigar Co. are the property of its registered trademark owners.